This amazing Single Family Home is right on the beach in fabulous South Mission Beach. It is a 2 bedroom 2 bath with an extra 'Sunroom'. 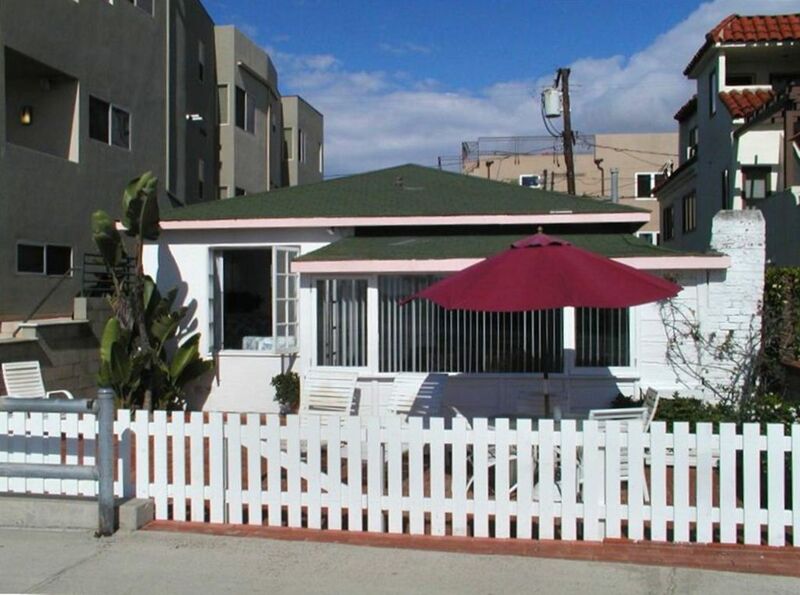 This is one of the last remaining Single Family beach Cottages left along the beautiful stretch of South Mission Beach. The two-mile-long and two-block-wide peninsula has beaches on both sides of the strip. With Mission Bay to the east, you have quiet waters for toddlers to enjoy, and on the west you have the surf for the older set to frolic in the waves. Sea World is just five minutes away. And you have easy access to all the major attractions of San Diego. Summer rentals are Saturday to Saturday.